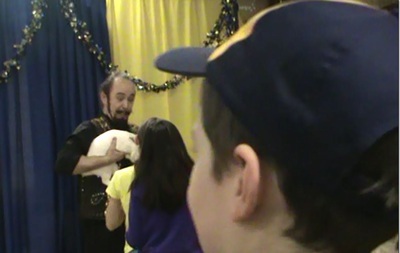 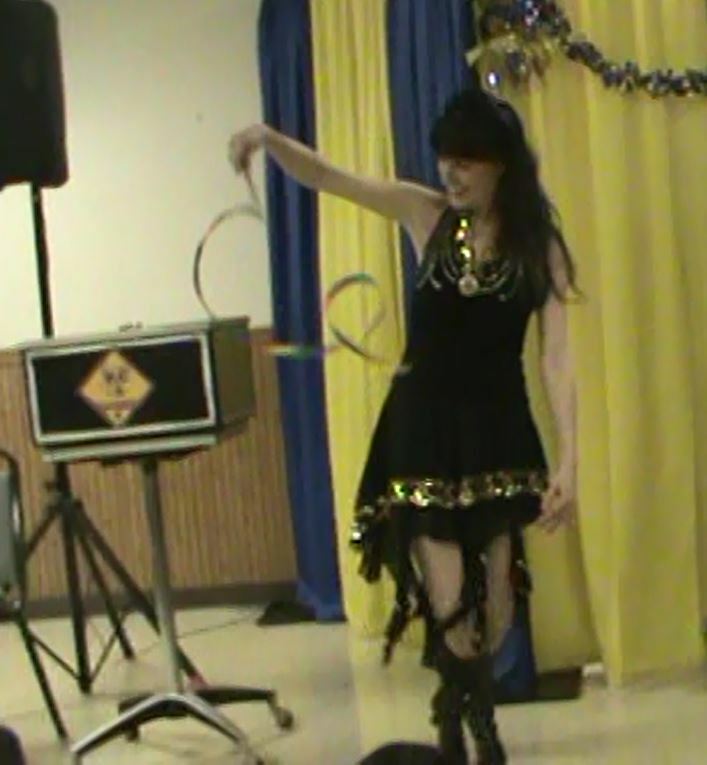 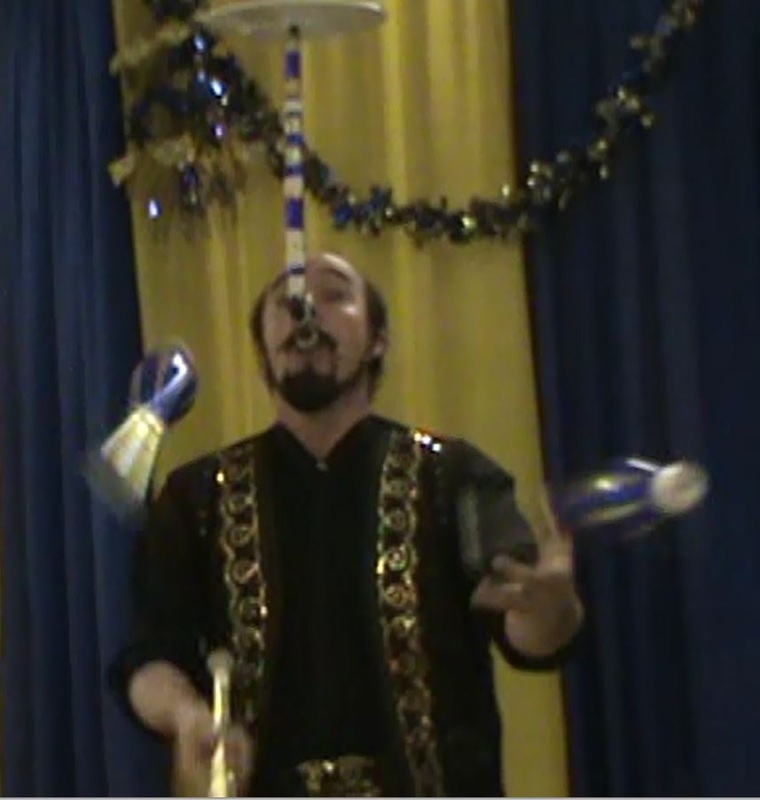 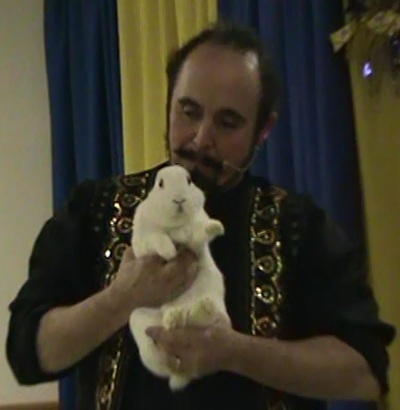 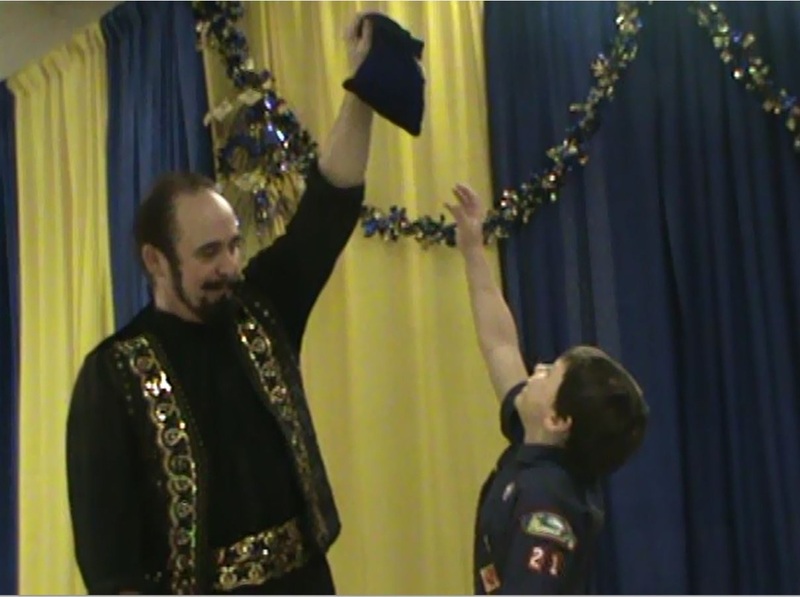 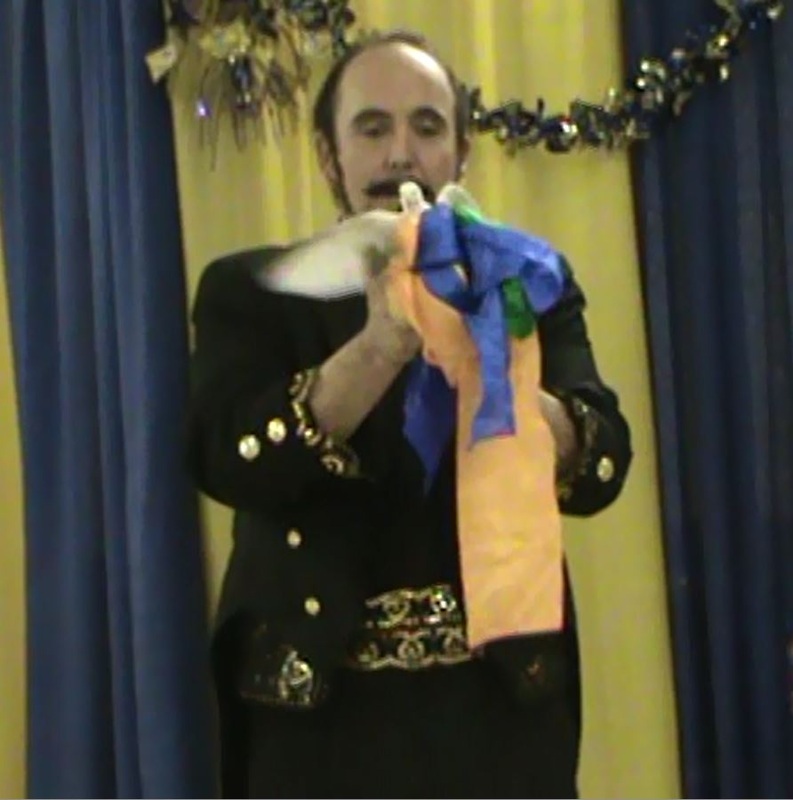 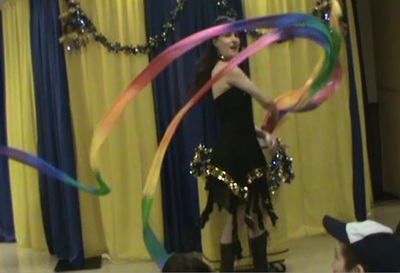 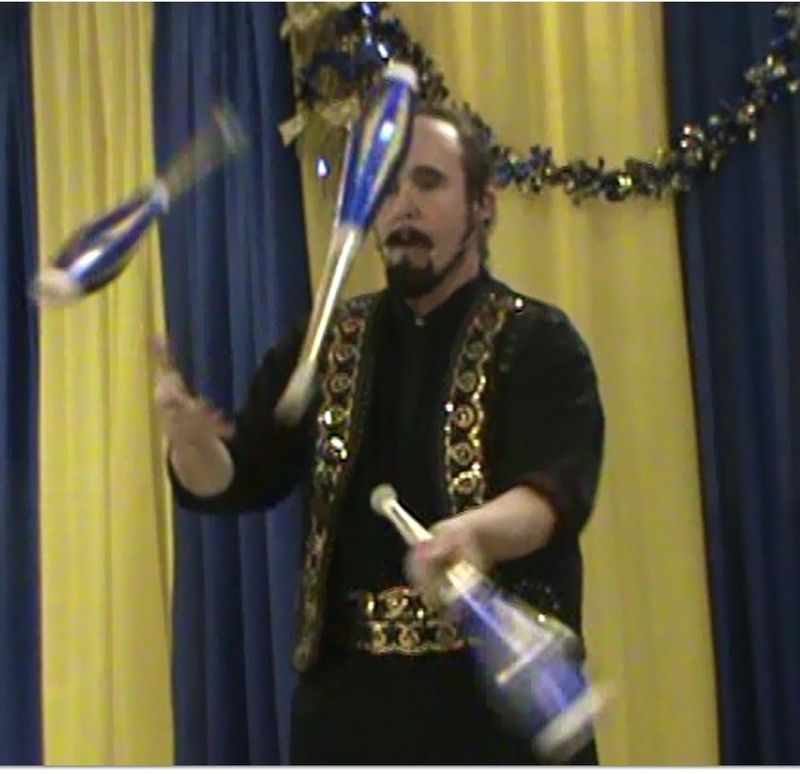 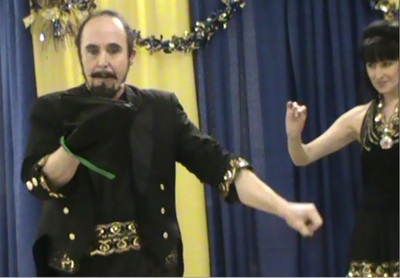 Enjoy Photos of The Steelgraves' Blue and Gold Banquet Magic Show! 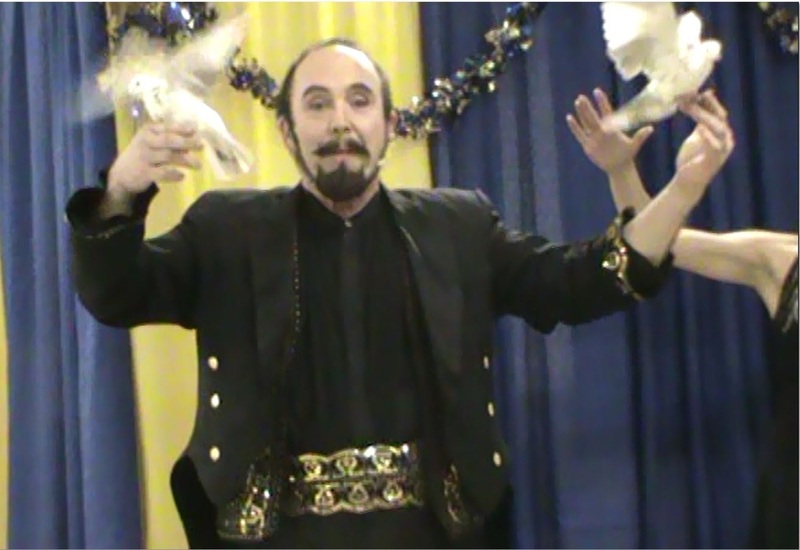 These are screen shots from a video of a live performance. As you see, our performances for Blue and Gold Banquets are not the usual "one-man show". 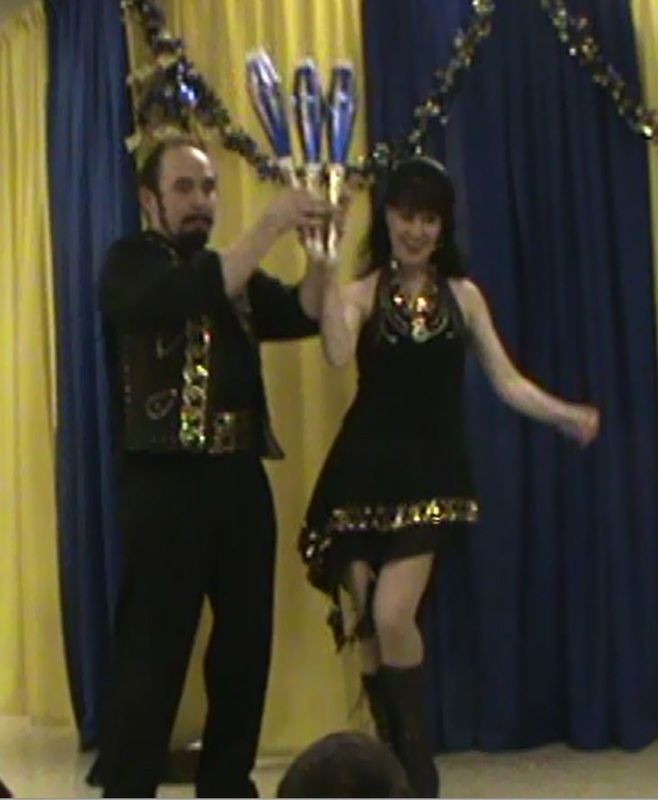 The two of us work as partners throughout, and the dynamics between us and the audience add a special charm to the performance. 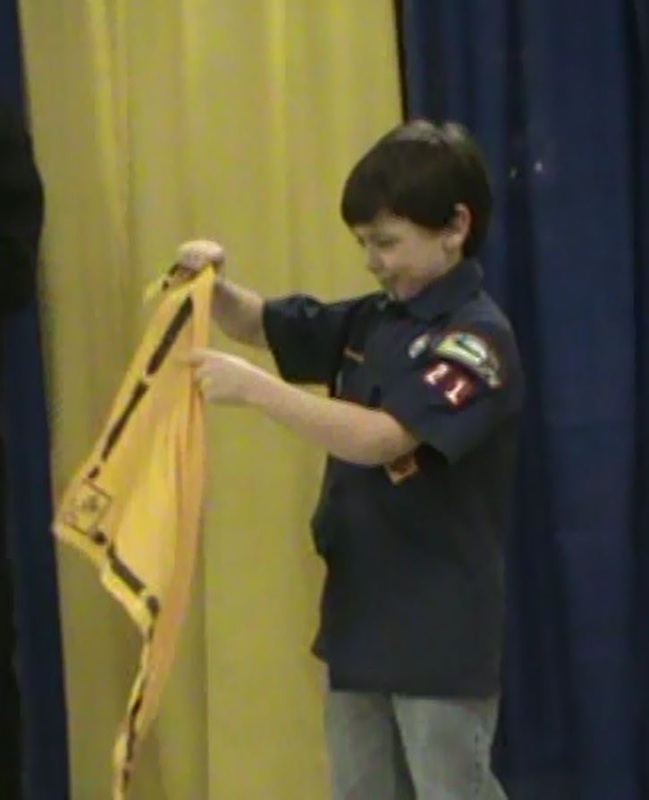 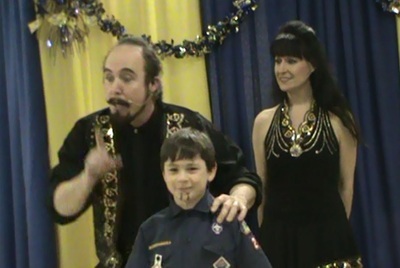 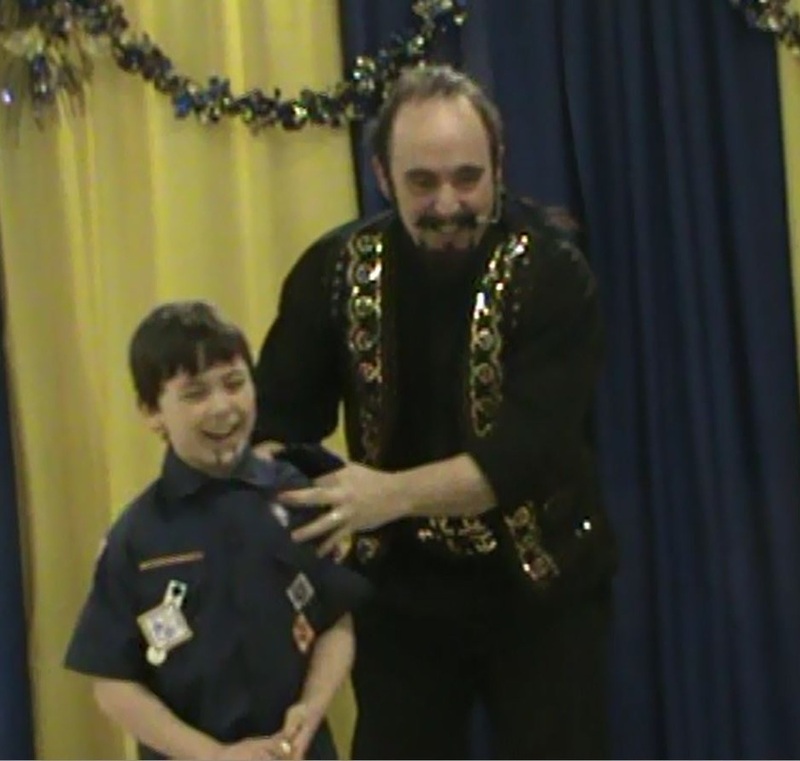 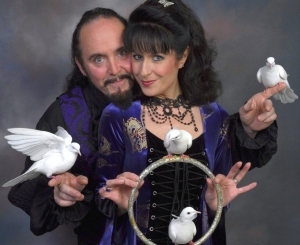 Young boy and girl Cub Scouts and their siblings relate positively to a "lady magician", and moms and dads identify with the "married couple" banter and relationship. 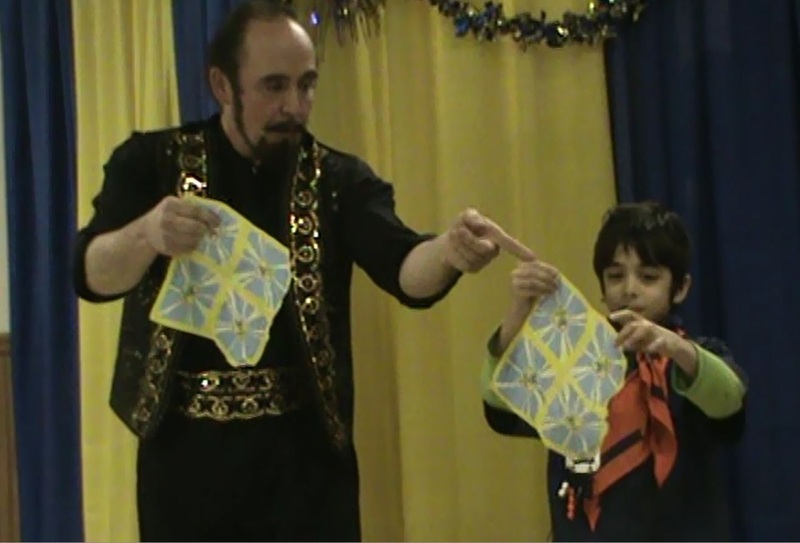 Everything is friendly and good-natured (the audience participation is never mean-spirited and the volunteers are treated with respect). 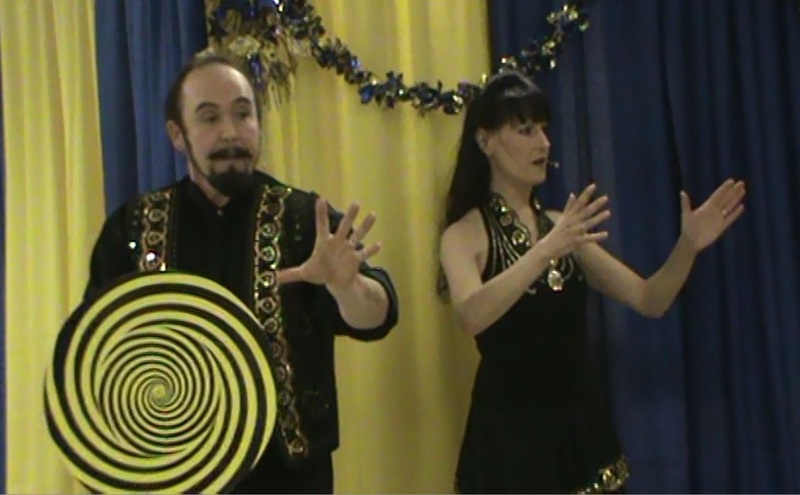 Contact us--we'd love to help you make your Blue and Gold Banquet magically special!